Jessica Mauboy has been chosen by SBS to perform at the invitation of the European Broadcast Union at Eurovision! Jessica teamed up with Potbelleez hit maker Ilan Kidron to write a brand new song, that she will perform in a guest spot during the second semi-final. “The song speaks of ancient dreaming but I also wanted to convey a message that whatever country you represent, you have to bring that culture to the next generation,” she said. Find out all the details of the broadcast and SBS’ Jess Up activity here. 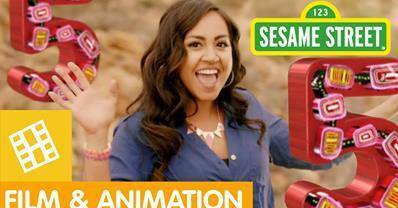 Jessica Mauboy appeared on an episode of Sesame Street singing ‘5 Kangaroos’! Check out the video below. Behind-The-Scenes Look At ‘Never Be The Same’! You can listen to Never Be The Same here.